This adorable woman’s pink agate pendant has been lovingly handcrafted in our studio as part of our Back to Nature jewellery range and looks great day or night. It is stylish and unique and makes the perfect gift for any occasion. 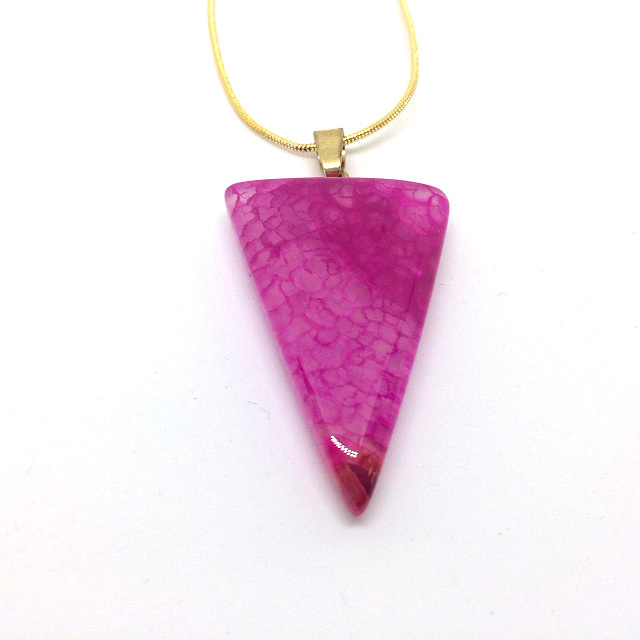 Featuring a stunning pink patterned triangular shaped agate gemstone, this necklace measures approximately 18” and is finished off with a quality gold filled snake chain. Please note that as these are natural gemstones some colours may vary slightly.